I’m in the midst of a big few weeks of off-the-page microlit activities. 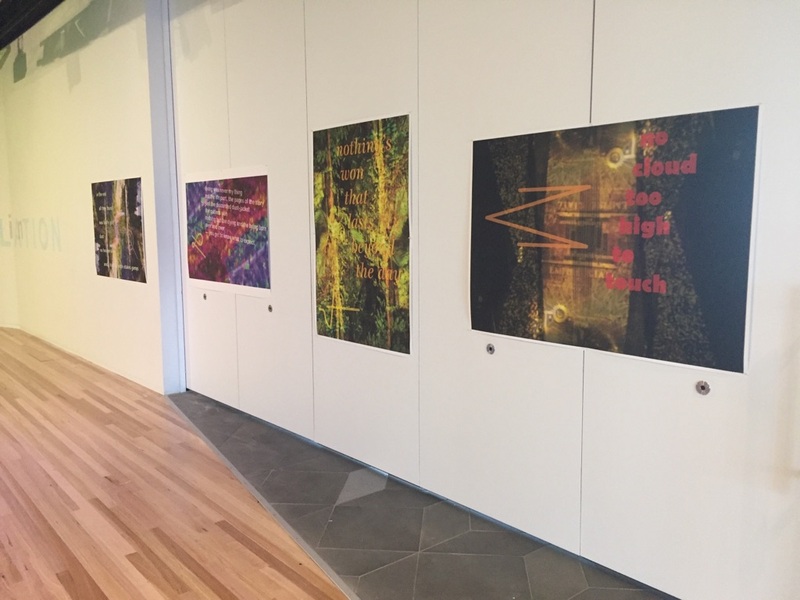 Over the last fortnight I’ve produced two works for Community Stations at Ringwood Station in Melbourne’s east. 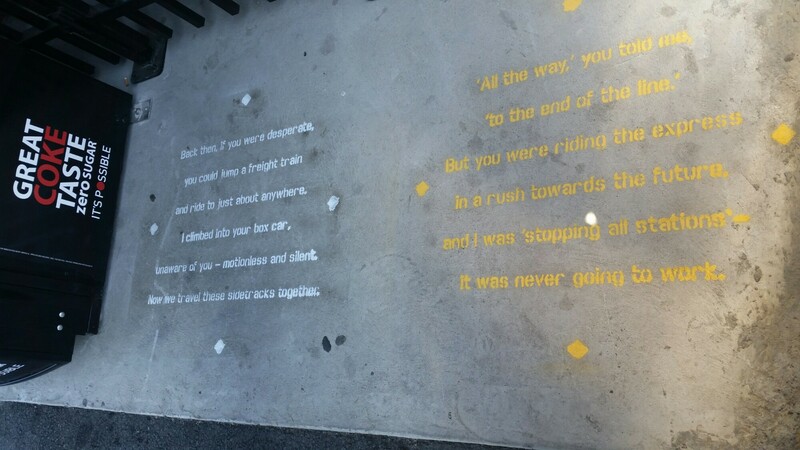 The first saw stencilled stories installed in various locations around the station. 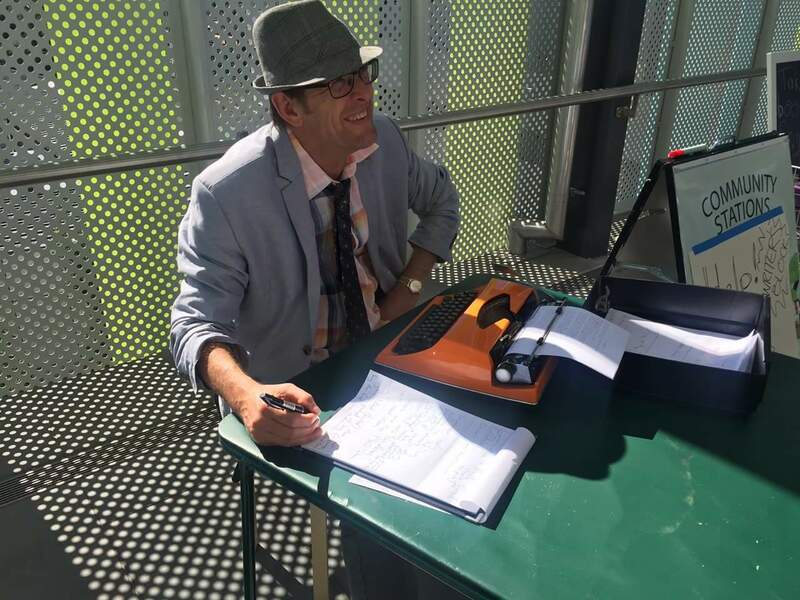 The second was a performance writing project in which my alter-ego, Walter Wild (Word Wrangler) sought stories from passing commuters during 90 minute performances each morning for a week. 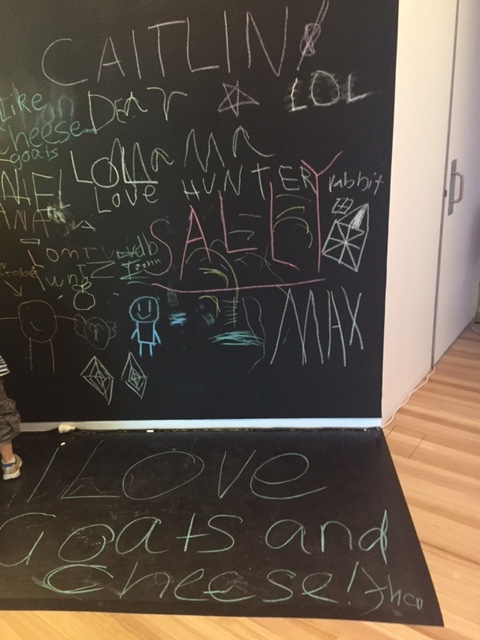 (photo, thanks to Arts in Maroondah). In a couple of weeks I’ll be heading up to Newcastle for the wonderful Newcastle Writers Festival where there’ll be more public stories in collaboration with Spineless Wonders. I’m looking forward to what should be a bit of a writing reboot in the Hunter Valley. Another local writers festival that’s about to roll out a program of great literary events is the Wollongong Writers Festival. I was delighted to receive advice that my story, The Locked Half Blood, has been shortlisted for the Wollongong Writers Festival Short Story Competition. The winner will be announced at the festival launch on November 25. Whatever the result it’s great to have the affirmation that comes with getting to the penultimate stage of the competition, and to be included in the company of talented writers, any of whom, would, I’m sure, be worthy of the prize. 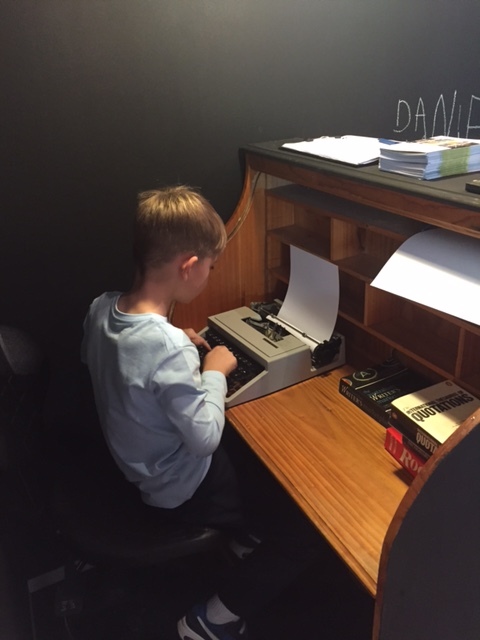 You can find out more about the festival and the competition through the Wollongong Writers Festival website. My short story, The Dead Line, has just been published in issue eight of the Irish Literary Review, available now on line. There’s some great fiction in the issue. I always feel, when stories are placed in publications, as if they have found a home. Looking at the other pieces in this edition I’m particularly pleased with where this story, which I’ve been refining for a couple of years, has finished up. You can read it through the link above. And, of course, I’d love any feedback so let me know if the story strikes a chord. One of my favourite supporters of flash fiction is UK’s National Flash Fiction Day. This year it’s on again, this coming Saturday, June 25. Each year NFFD publish one of the best Flash anthologies you’re likely to find anywhere, filled with great very-short fiction. I’ve been pleased and privileged to be selected in this year’s collection, A Box of Stars Beneath the Bed. My piece, Ambush, is a loose take on the Kelly story. It’s the third time I’ve had a story published in a NFFD anthology, and as always I’m very much looking forward to receiving my author copy – I know it will be a great read. To find out more, and to order a copy of the book, visit the National Flash Fiction Day blog. Spineless Wonders have posted a summary of the Newcastle panel session held a couple of weeks ago. It’s well worth a look. 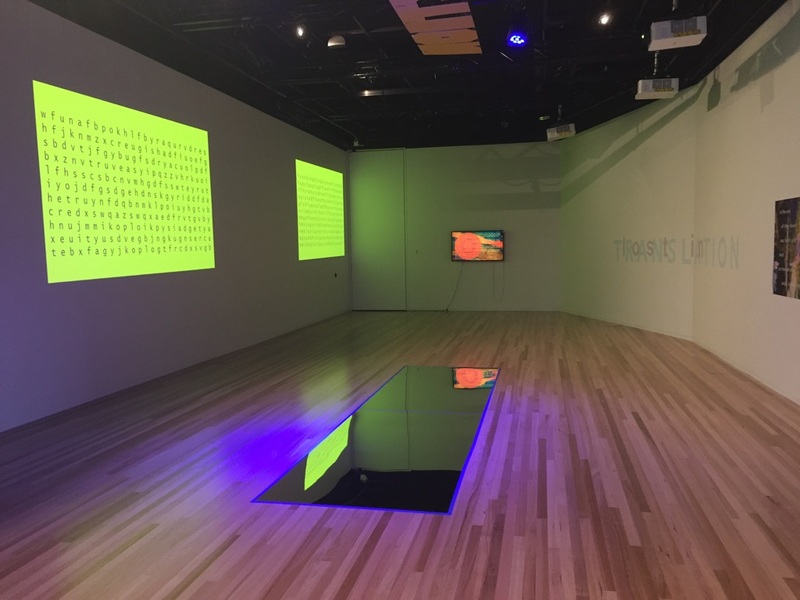 Text Me the intetactive exhibition and first component of a new ‘arts incubator’ program opened yesterday at ArtSpace (Realm, Ringwood) and, in spite of a few technical hitches (projectors on the blink), it’s looking pretty good (in my humble opinion).